We’ve all come across the terms visual acuity and 20/20 vision. As frequently used as these terms are, do people really know what they mean? Having a proper understanding of what they imply will give you insight into how an optometrist determines the state of your vision during your eye exam. 20/20 vision refers to the sharpness of your vision measured at a distance of 20 feet. 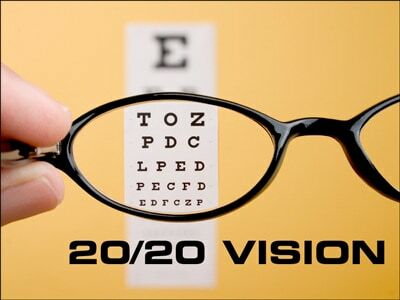 If you’ve been told you have 20/20 vision, it means that from 20 feet away you are able to clearly see what is normally seen from that distance. So, 20/100 eyesight indicates that you would need to be as near as 20 feet away to see what a person with normal vision is able to see from 100 feet away. Each one of your eyes is examined separately. When the optometrist instructs you to read the letters on the eye chart aloud, the smallest letters you can properly see determine the visual acuity in the eye that’s being tested. It’s important to recognize that 20/20 sight actually doesn’t mean that your eyesight is perfect, and that’s because it can only judge your distance vision. There are several other crucial components to seeing clearly; your ability to focus on objects in your immediate surroundings, contrast sensitivity, peripheral vision, depth perception, eye coordination and color vision – these are all extremely important to your overall eyesight. And actually, someone who has 20/20 vision can certainly have eye problems. People with damage to the nerves within their eyes from glaucoma, diabetes, high blood pressure, or other eye diseases can still have 20/20 vision. 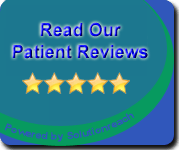 For this reason, your optometrist always conducts a comprehensive eye exam, as opposed to just a simple eye chart examination. So the next time you have a comprehensive eye exam, you’ll understand what we’re testing for when we ask you to read from an eye chart!